Single Storey House For Sale With New Renovation. 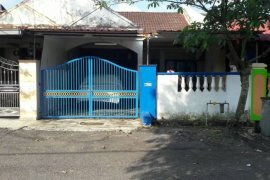 Double Storey House For Sale In Nusa Damai. 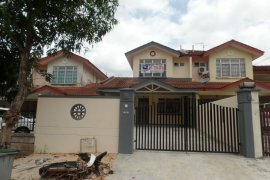 Double Storey Terrace, SS14, Subang Jaya. SunLight Residence @ Pasir puteh. Single storey semi-d in Taman Melawis Klang. New House, teres 2 tingkat, taman 1 krubong. Double Storey END LOT AZALEA, Nilai Impian Negeri Sembilan. Brand New Double Storey Coener Lot @Seri Austin. Taman Putri Kulai 1-sty Freehold Terrace for Sale. Taman Sri Bayu, Bagan Lalang. Adda Heights (Yellow Horizon) 2-sty Cluster for Sale. TAMAN KAPAR INDAH BATU 10 KAPAR MERU KLANG. JALAN MERU BATU BELAH KAWASAN 19 KLANG. TAMAN SENTOSA PERDANA JALAN TEMENGGUNG RAJA NONG SUNGAI JATI. Taman Seri Austin Hill (JADE 2)/ Double Storey Corner. TAMAN KLANG UTAMA BATU 4 KAPAR BATU BELAH AMAN PERDANA. Triple Storey Semi-D Taman Desa Baru 2 Kajang (Direct Owner). Jp Perdana @ Mount Austin Fully Renovated. Nusantara 20x65 Good Condition !!. TAMAN SELAT SELATAN SELAT DAMAR PANDAMARAN KOTA PENDAMAR PORT KLANG.